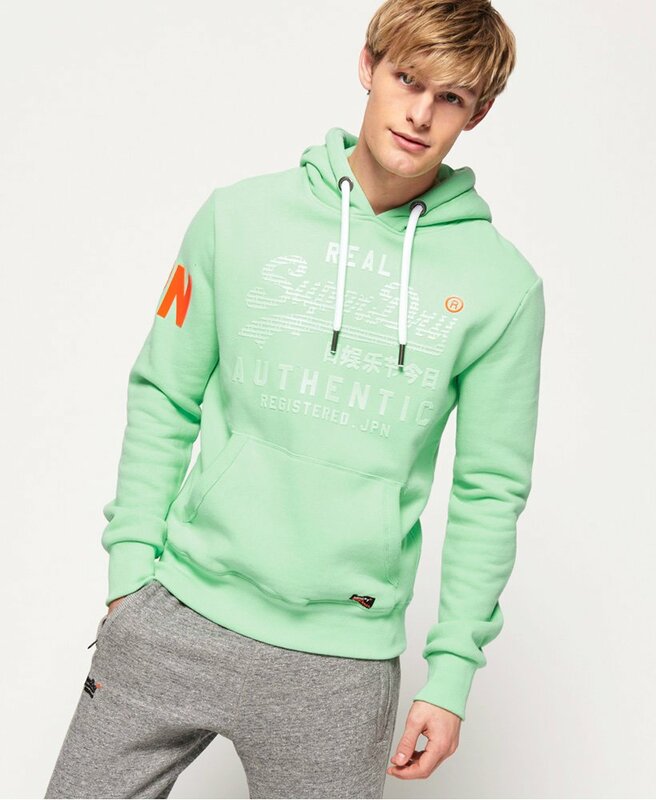 Superdry men's Vintage Authentic pastel hoodie. A hoodie is a wardrobe staple and the Vintage Authentic pastel hoodie is just the update you need. With a drawstring hood, front pouch pocket and rubber logo graphic on the chest and sleeve, the hoodie has been completed with a logo badge on the pocket.